Indigo SiteVisorWeb is a full features SCADA / HMI solution that offers complete flexibility no matter how large or small your needs are. 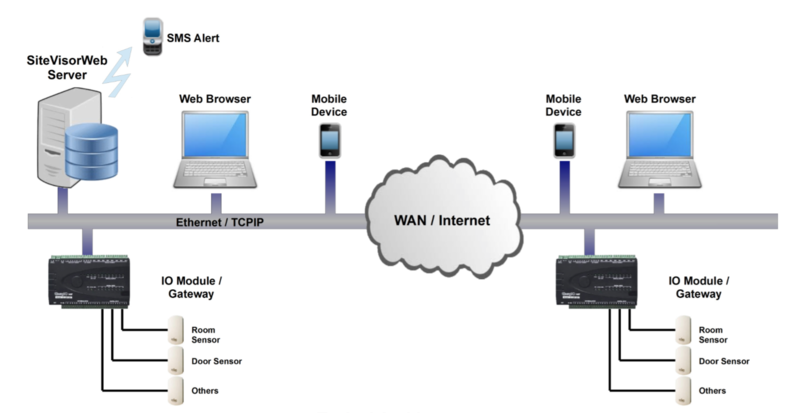 SiteVisorWeb can be used in hundreds of configuration, from data protocol gateway to graphic user interface. Fully web-based interface, comes with data logging, control and monitoring system all in one package. Currently supported protocols include BACnet I/P & MS/TP, Modbus (ASCII, RTU, TCP, and UDP), OPC DA, 1-wire, SNMP, SQL, HTTP, POP3, NMEA 0183, MBus, DNP3, OpenV, webcams, vmstat with more protocols being added regularly. SiteVisorWeb comes with Derby database but capable of using MySQL or MSSQL for power users who need performance. Users can define unlimited event criteria on points to detect conditions such as high and low limits, value changes, state change counts, and run-times. Export your configuration to a text file. Save this file for backup and recovery, or use it to import into other instances of SiteVisorWeb to make identical copies. Or, use the file to manage very large configurations easily. Any events that occur, either system or user defined, can be handled arbitrarily using user- defined event handlers. These handlers can send emails and escalations to mailing lists, or set values to configured points. User permissions are defined by system administrators, and all communications with SiteVisorWeb can be secured with SSL (Secure Socket Layer), ensuring the privacy of your information. Each point can be configured with its own data logging and log purging characteristics. Logging schedules can be made to be independent of reading schedules. Create and schedule reports for online viewing or email. Download data in CSV format for quick upload into spreadsheets or other data analysis programs. Access and control is quick and up-to-date with roll-over charts and point set controls. The use of Ajax technology ensures that all of the information displayed is recent and relevent. Use images, graphics, and animations to create dynamic dashboards and graphical representations of your data. View point detail information including current value, detailed tabular and graphical charts, alarms, event detectors, and user permissions. Set point controls are also available. All pages in the application include an indicator of the highest active alarm level. Use it to link to the active alarms list where you can see all active alarms at a glance. Read and add comments and link to point details pages where actions can be taken. Users can comment on events and points so that valuable knowledge is not lost. Event comments are sent with email notifications so that all users are kept up-to-date on system status. Define events based upon time schedules. Events raised by schedules have access to all of the handling functionality that other event types have. Changes to all information processing objects cause audit events to be raised, including new objects, changes and deletions. These events pass through the event management system so that all users can independently acknowledge the event. Email or SMS when alarms are raised.